Originally from Chehalis, Washington, trumpeter Tristan Hurd developed a love of the trumpet from listening to his father practice the instrument when he was a boy. Tristan began playing at the age of ten and excelled in music. By the time he attended W.F. West High School in Chehalis, it was clear that music was his passion. Tristan attended Central Washington University in the studio of John Harbaugh, where he received a Bachelor of Arts in Broad-Area Music Education, graduating with Academic Honors in 2012. 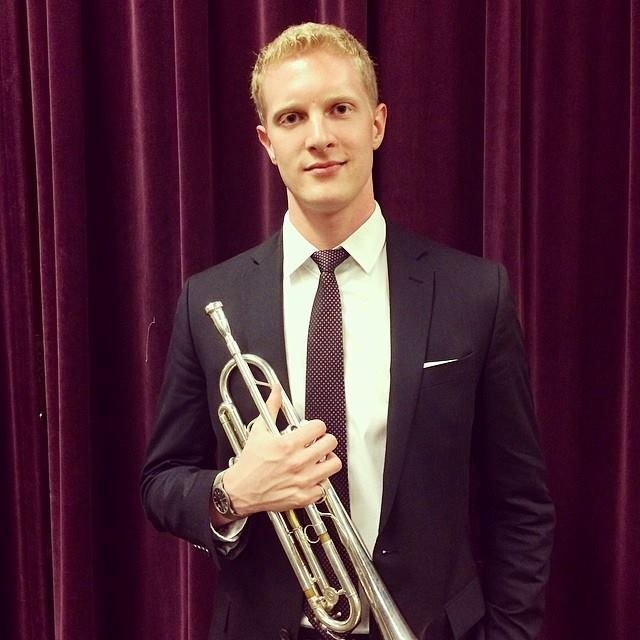 During his time at CWU, Tristan was invited to perform in the Undergraduate Division of the National Trumpet Competition three times, as well as the Jazz and Ensemble Divisions. He was also a performer and speaker at conferences and conventions for the Jazz Educators Network, College Band Directors National Association, Washington Music Educators Association, National Association for Music Education, and the International Trumpet Guild. Recently, Tristan held the position of principal trumpet of the Seattle Wind Symphony and recorded and performed with the All-Star Brass in Banff, Canada. During his graduate studies at UCLA, Tristan has performed as a soloist in the graduate division of the National Trumpet Competition, appeared as a featured soloist with UCLA Philharmonia, played at the Monterey Jazz Festival, and was featured at the Jazz In The Valley Festival. Tristan also performs and teaches through UCLA’s Music Partnership Program as well as the UCLA Music Outreach Program and is a brass instructor with the Santa Monica Youth Orchestra.